Experience the Difference with our unique approach to Probate Court litigation. Effective resolution of probate issues requires a problem-solving, thoughtful, and skilled approach. We understand what you are going through and we will walk you through family and financial issues one step at a time. We are accessible and caring, with the experience to evaluate the best course of action to be taken in probate litigation cases. Call today for a consultation. 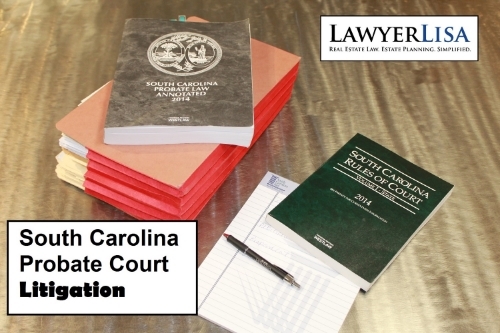 Cases accepted throughout the State of South Carolina. Probate Court has unique rules, procedures and timelines. Don't risk your case on a litigation attorney who is inexperienced in probate court. Whether challenging a will or defending it, we can develop a plan to put our clients in the best position possible. When someone is appointed as a Personal Representative or Power of Attorney, they are a fiduciary. A fiduciary owes certain duties to the individual they are acting on behalf of. They must act with the highest standard of care. If a fiduciary breaches this standard of care, such as by misusing money, not protecting assets or acting in bad faith, there is a legal right of recovery against them. In South Carolina, the law recognizes common law spouses. This can happen when two people hold themselves out as a "married" couple, but they were never legally married in that they never applied for or filed a marriage license. If one of the "spouses" dies then the survivor has a limited amount of time to file an action to be declared the legal spouse based on the common law marriage relationship. There is no set minimum time period that the parties need to be together in order to do this. We represent parties claiming a common law spouse relationship after the death of one of the parties and we likewise represent children and family members challenging such common law claims. Results are not guaranteed. Any results achieved on behalf of one client in one matter do not necessarily indicate similar results for another client.